It’s “S Day” we woke feeling a little excited but knew we had a few things to do before we could head down the Birdsville Track to start our Simmo adventure. We spent the morning letting the canvas on the trailer fully dry and moving things between the 2 vehicles that we either didn’t need to take or did need to. 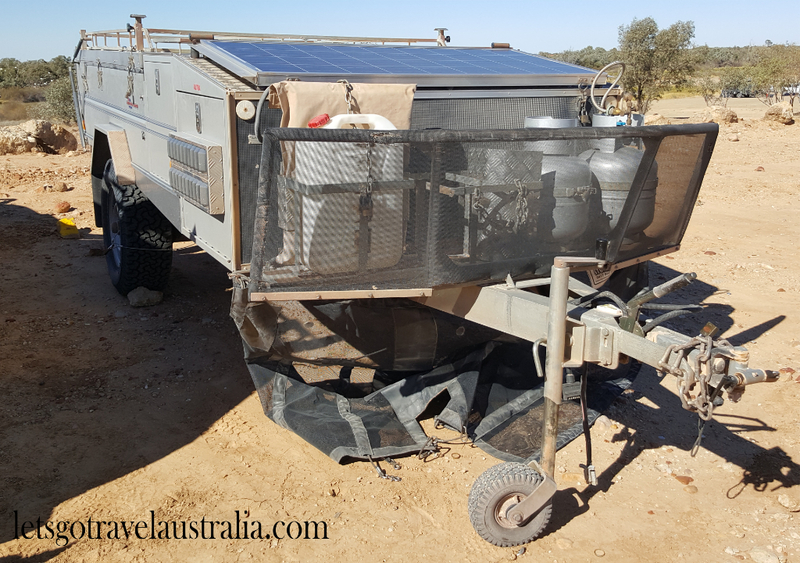 We then dropped the trailer at the Birdsville Caravan Park for storage for the next 2 weeks. Filled up with fuel and the popped into the Birdsville bakery for a couple of pies, bread rolls and a muffin for Chris. He has had the curried camel before and didn’t like it so this time he got a standard chunky beef and something a little more adventurous kangaroo claret. Chris said the kangaroo was very nice. Now we were really getting excited as we headed out of town, down the track towards the Warburton Track. 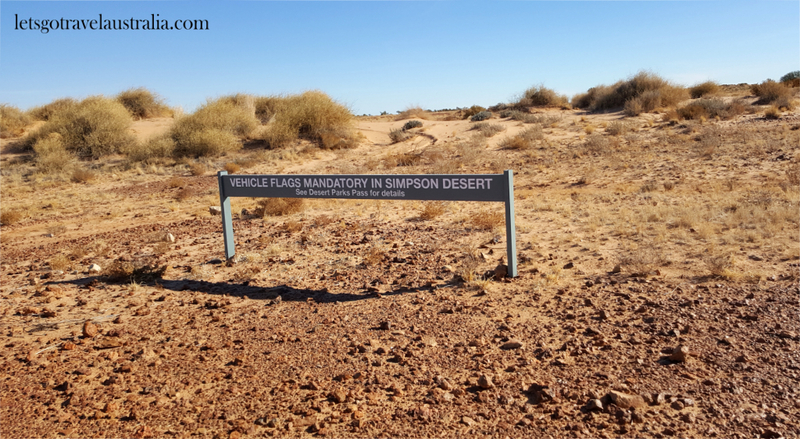 A South Australian Desert Park Pass is required to drive and camp in the Simpson. At time of writing it was $160 and is valid for 12 months. The pass includes a guide, permit and some maps. 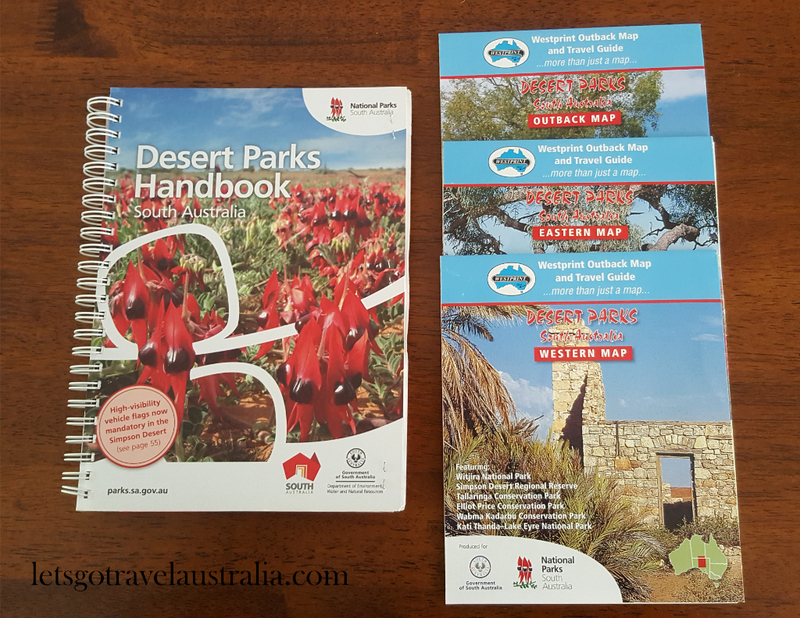 It can be purchased in advance from the SA National Park website, or from places in Birdsville or Mt Dare. 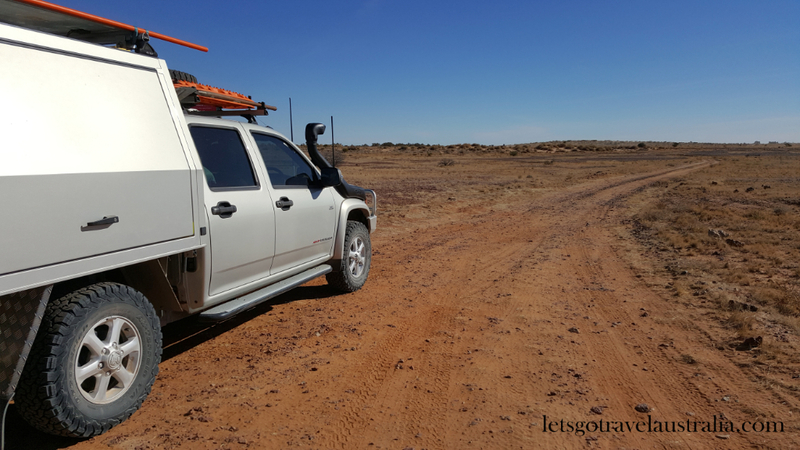 We opted to buy ours in Birdsville just in case something came up that changed our plans, like rain or flooding. Some areas of the Birdsville track were very rutted from where vehicles had driven along the track in recent rains. In many places there was water alongside the road, water on the road in several places and even some grading being done. All in all it’s not a bad road and we saw plenty of people towing caravans up the track. 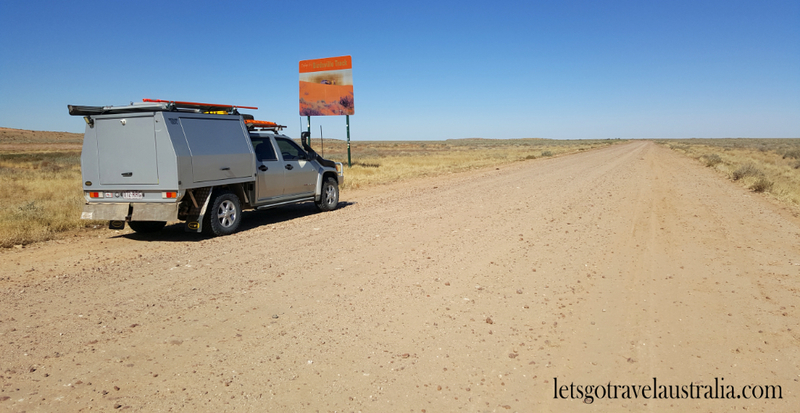 A sand/safety flag is also required to travel across the Simpson Desert, check the SA National Parks website for up to date requirements. 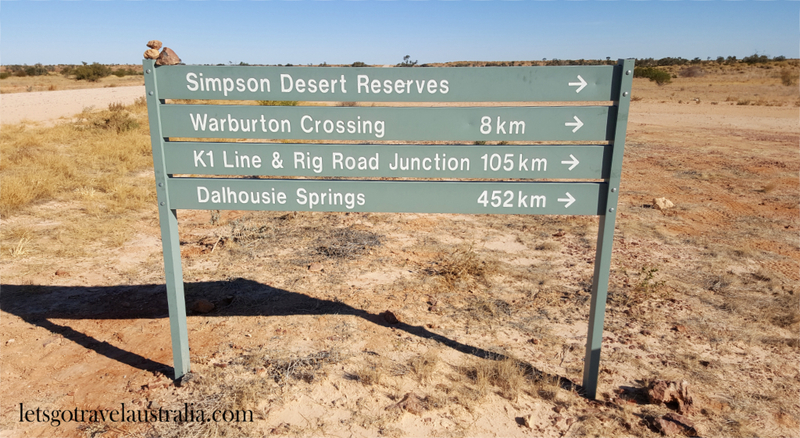 The turnoff to Warburton Track is 200km from Birdsville, now the adventure really begins.